"Your work sells better than Whitmore's". 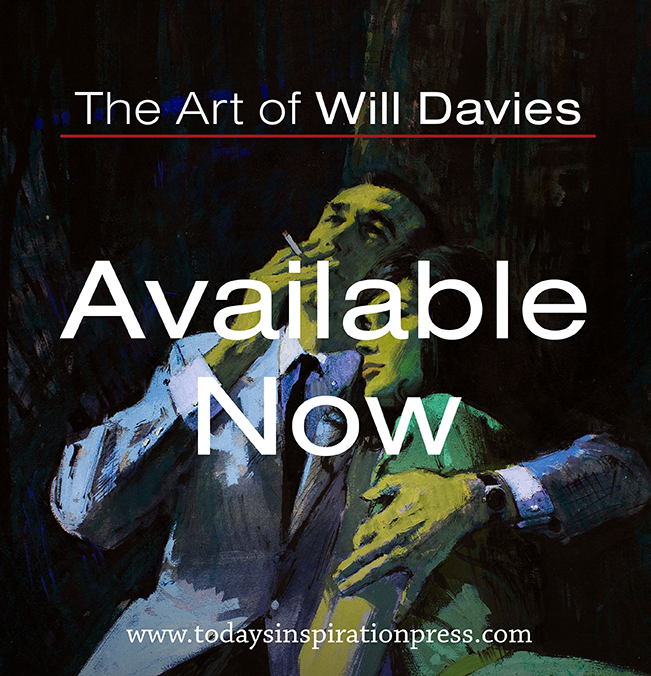 That's what John Drawbell said to Will Davies back in the 1960's and its probably one of the greatest compliments Will's ever received. 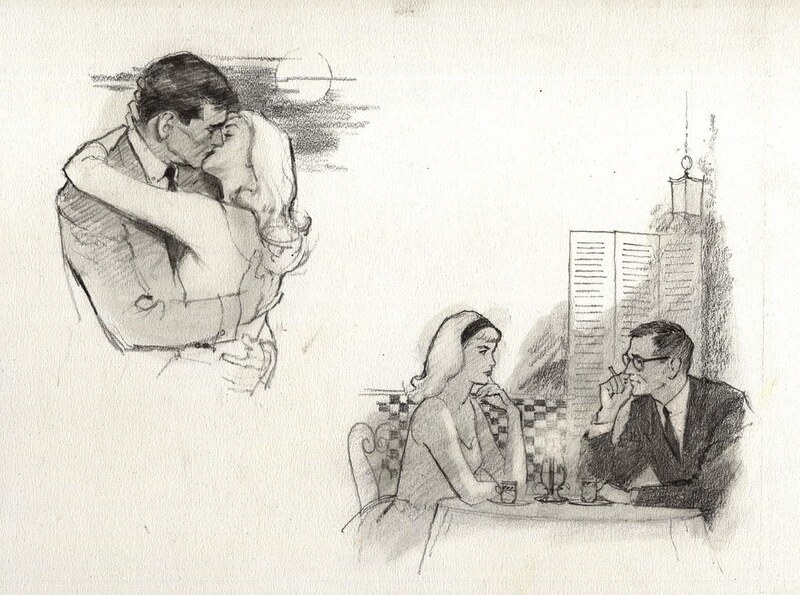 For 25 years, Drawbell was the agent for various Canadian and American illustrators of romance art, reselling their images to the British and European magazine market. 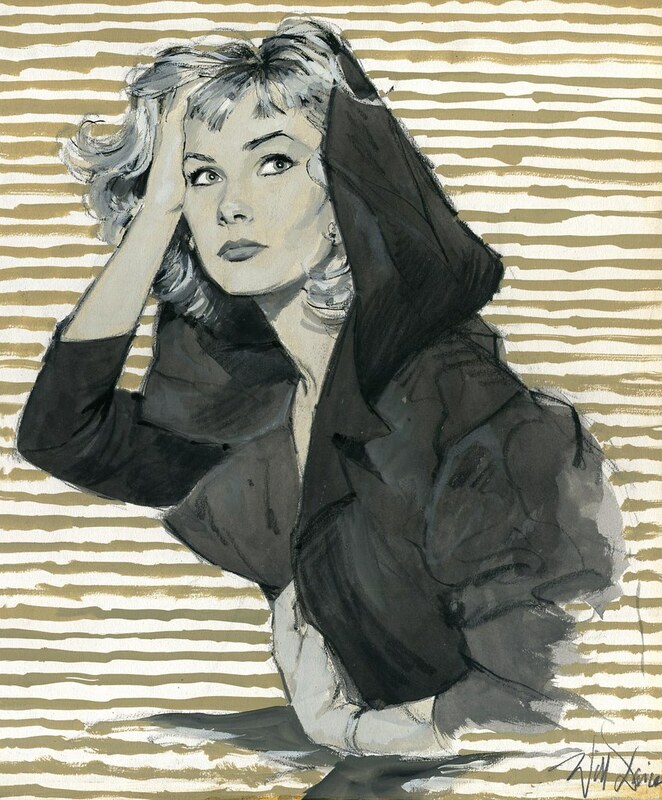 Coby Whitmore was one of his artists, and so was Will Davies. 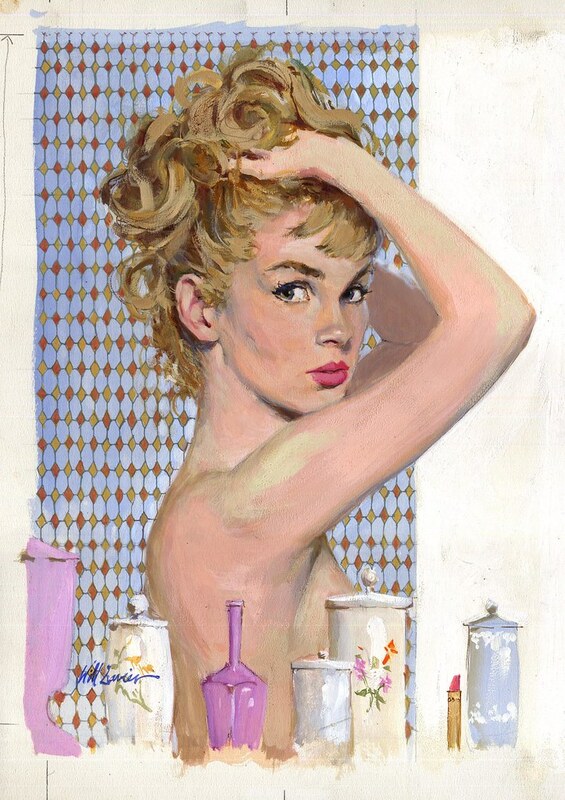 To Will, Coby Whitmore was the biggest fish in the competitive waters of American commercial art during the 1950's - and the one he most admired. The young illustrator, working at Toronto's Taber, Dulmage & Feheley art studios in the late 1940's, imagined his own work some day appearing alongside Whitmore's in the pages of Ladies Home Journal and McCall's. He tested those waters in 1953 with a move to New York, even visiting the Cooper Studios and receiving a guided tour from Charles E. Cooper himself. "Unfortunately, most of them (Whitmore, Whitcomb, et al) where out that day," says Will, "Bama. I did get to meet James Bama." A year of portfolio interviews proved frustrating: "We have plenty of guys already who do this (romantic) style," the art directors would say, "what else have you got?" Will had to admit that he had nothing else to offer. In Canada he had risen quickly, his obvious talent and clear focus propelling him to the forefront of the commercial art scene. But in the States he was just a small fish in a very large pond.Of his experience in New York, Will once told Studio magazine, "I learned a lot down there. I learned I didn't know anything. I don't think it matters where you go. But going to New York does give you a certain respect in the eyes of others, like having a magical ingredient injected into you." With a young family to support, few and only minor assignments, and savings dwindling, Will put in a call. Back home in Toronto he was soon occupying the top spot in TDF's illustration department. In the smaller pond of the Canadian illustration market Will Davies quickly became the biggest fish. He would remain so for more than a quarter-century. Fantastic Leif....a true hero in the Canadian Illustration field. I love discovering great talents that I'm previously unfamiliar with. ended up in TDF Studios one day to do some boards. about Eddy Merckx but had done his research. Boy was I impressed. Thanks for enlightening my to his work. Nice stuff. This work is amazing! Thank you so much for making these available and also large enough to study from too. Very much appreciated! I'm very glad to do it, Glen and Dom - thanks for your words of encouragement. Wow. Never even heard of this guy - beautiful stuff. Many thanks for posting this!